I’m still doing my Stanford online course on relational databases. Today, I learned about the basics of SQL, a special programming language designed for managing data held in a relational database or from stream processing in a . This query will give you the name and student IDs of those applicants with a GPA higher than 3.6. This query will give you data on the names and student IDs for those students applied, filtered by Major. Jennifer pointed out that SQL is a multi-set model and it therefore allows duplicates. You can eliminate duplicate values by adding the keyword “distinct” to your query. 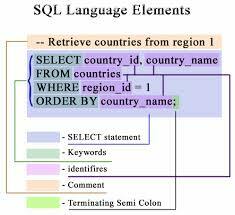 Jennifer also mentioned that SQL is an unordered model which means that you can sort results. Main learning point: I found this class about creating a basic “select” statement particularly helpful, as it helped me to get a better understanding of how basic SQL queries are constructed.